Although the main success of Slumdog Millionaire goes to director Danny Boyle, musician A R Rahman and stars Dev Patel and Frieda Pinto, Anil Kapoor is also trying to hog some lime light inspite of not giving a worthy to mention performance. 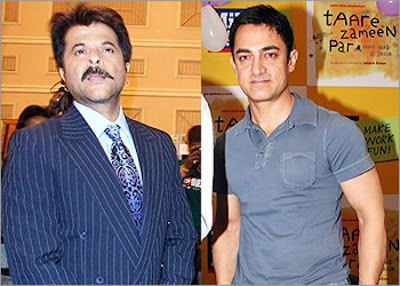 Then he also commented that Aamir should also start saying no to roles so that he might lay his hands on them too. The witty reply made Anil squirm in embarrassment.